As Robert D. Somerville, ABS Chairman, winds down his career with the American Bureau of Shipping, he shares with Maritime Reporter more than four decades of insight and perspective on the evolution and future of class. Earlier this month you were honored by the US Coast Guard Foundation at a black tie event in NY City. 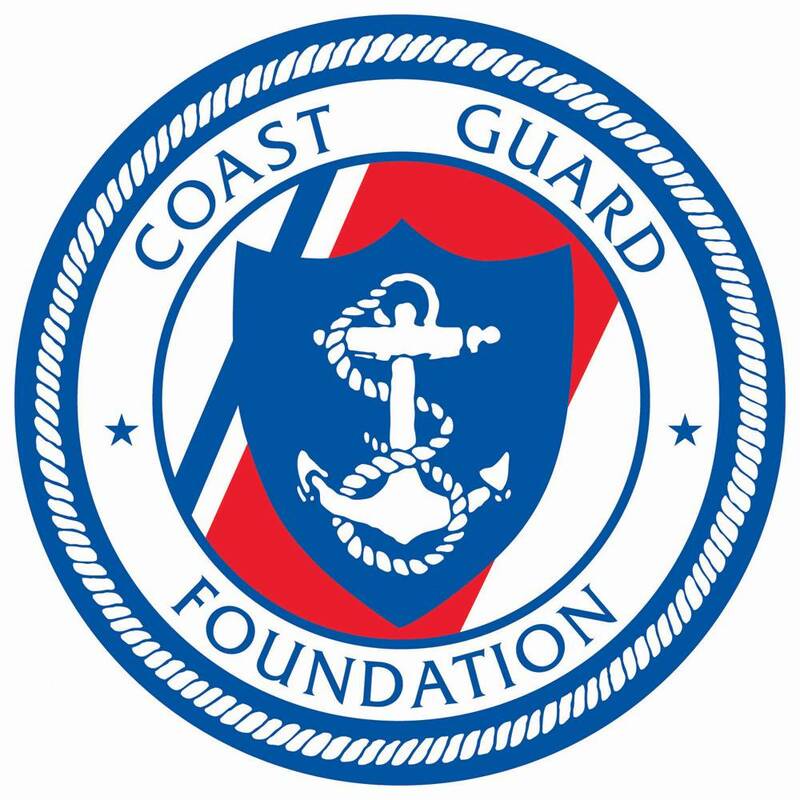 You have received many honors over your career: in your mind what makes the recognition from the Coast Guard Foundation special or unique? ABS works with the maritime administrations of more than 125 countries, but the relationship that exists between ABS and the US Government is unique. It is a relationship that stretches back many, many decades, well before the establishment of the agency we now know as the US Coast Guard. It is a relationship that is based on a common mission – promoting the safety of life, property and the natural environment. Our roles are complementary, the respect for each other mutual. Various Memoranda of Understanding codify the specific responsibilities that have been assigned to ABS, but the interaction between the two organizations is much deeper. I do not consider the honor I have received from the Coast Guard Foundation to be one of personal recognition but rather as a tribute to the extraordinary relationship that has been developed between generations of ABS professionals and their counterparts within the Coast Guard. From a personal and career standpoint, my relationship with the US Coast Guard began when I entered Maine Maritime Academy. After four years of study I obtained my degree and then earned a US Coast Guard License after passing their three-day test. While the BS degree from the Academy was important, it was the USCG License that provided me the opportunity to get the sea going job. As you reflect on the role of class in today’s maritime industry, what do you consider to be the most positive change in the last decade in regards to the way in which class interacts with the maritime industry? What is the most detrimental change and why? In the more than 40 years I have been at ABS, the role and responsibilities of class have expanded exponentially, moving from a purely engineering and technical base to include management systems, security audits, and most recently, onboard living conditions through the Maritime Labor Convention. But within just the last decade, I would have to single out the adoption of the Common Structural Rules (CSR) for tankers and bulk carriers as the single biggest advancement in maritime safety and one of the seminal advances in classification since its inception. To fully understand why I attach so much importance to the adoption of the CSR, you need to think back to 1980s and the emergence of what was then referred to as the short life ship designs that were being promoted by the shipbuilders. Their difficulties were understandable. The industry was mired in a severe downturn, a situation similar to the one shipbuilders are facing once again today. The yards were attempting to control costs by reducing scantlings and increasing the percentage of higher-strength steels. Because some class societies, for purely competitive reasons, chose to accept these designs, there were several generations of ships that were delivered with a reduced ability to sustain the effects of corrosion and fatigue over their service lives. The 2001 decision by ABS, Lloyds Register and DNV to put aside past differences and jointly develop and adopt common structural rules was an incredibly bold initiative. The subsequent decision by the other IACS members to join the project and the issuance of the new Rules put an end to a chapter of classification activity that had threatened its reputation and role as the industry’s accepted method of independent self-regulation. The current project to harmonize the tanker and bulk carrier rules is the final step in what has been a very difficult, time consuming and technically challenging process. Personally, I would have liked to have gone one step further with the CSR and to agree on one set of software for bulk carriers as well as tankers, but this was not to be. However, ABS and Lloyds Register formed a joint venture company to develop a CSR system for bulk carriers and tankers. My hope is that more class societies will join us in this effort. On the negative side of the equation, I would have to single out the ongoing effort by the European Equipment Manufacturers Council, through the European Commission (EC), to impose mutual recognition of equipment certification on the societies recognized by the European Union. While class could benefit from re-assessing and modernizing the certification and testing program, the new requirements, as adopted, fail to recognize the realities of the modern, technically sophisticated, highly integrated systems installed on today’s ships. They also fail to recognize the individual sovereignty of all flag States to establish their own requirements for the vessels in their registry. And the new requirements ignore the concerns of the underwriters, who believe that, if imposed as adopted, the new regulation will lower overall safety standards. That said, I am hopeful the ongoing discussions between class and the EC will result in a workable compromise that considers safety, not commercial considerations, as the overriding concern. 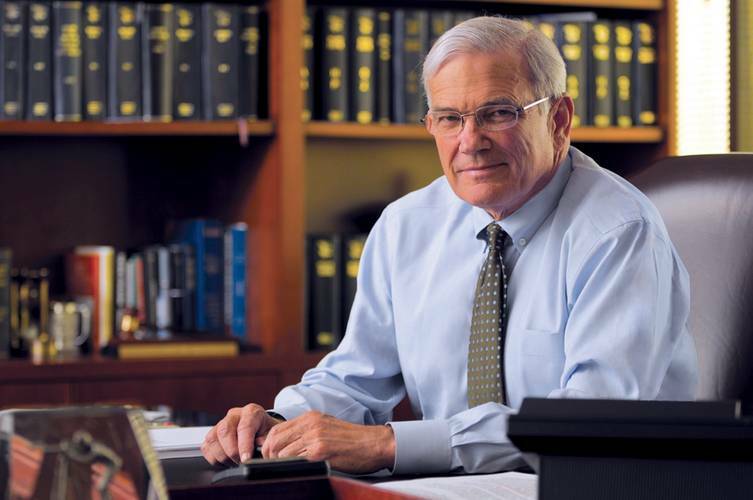 While the marine industry is no stranger to strong cyclical pulls, it has been profoundly affected by what is turning out to be the most tumultuous and difficult financial crisis of a generation. From where you sit, what long lasting effects will these difficult financial times leave on the industry? One of the advantages of age is that it provides perspective. Difficult as the current market may be, it is not yet anywhere near the disastrous conditions that all sectors of the maritime industry faced in the late 1970s through the 1980s when we were sending ships to scrapyards right from delivery. I was actually stationed in Taiwan in the early 80s when most of the scrapping took place. It was a very sad sight to see ship after ship be driven onto the beach and disappear in 6-8 weeks. It was especially disheartening to see ships that I had sailed on being demolished. I hope we will never see conditions like those again. There is an old saying that those who fail to learn from history are doomed to repeat it. And that is the situation we are in at present. As in the past, the strong will survive the inevitable shakeouts. From a purely class perspective, our challenge is to remain focused on our mission of promoting safety. Reduced or non-existent profit margins for shipowners encourage tight control of the expense side of their balance sheets. This type of focus can result in reduced attention to maintenance and repair. Within our area of responsibility, we must continue to impartially and independently verify the ships in our class continue to meet the standards required by our Rules. Safety is nonnegotiable. It can be generally said that shipowners (at least the ones we speak to) feel overburdened by continually emerging regulation which mandates how they outfit and run their fleets. As regulation, particularly in regard to the environment, continues to tighten and the cost of business continues to rise, what effects, if any, do you predict for the market as a whole? There is no practical defense against increased regulation because it is spawned by technical advances, greater knowledge and changing societal expectations and standards. The marine industry’s challenge, and I include class in that, is to understand these drivers and to work with key legislative and regulatory bodies to help them identify real areas of concern and to develop practical standards that can be reasonably adopted and implemented. That is easier said than done, particularly in the aftermath of a high profile, if isolated, maritime incident, but we must all recognize that the need to educate the well-intentioned, but technically limited, arms of government is never ending. To this end, there must be total acceptance of the IMO as the focal point of all maritime regulation. Regional and national legislative initiatives are simply impractical when applied to an international industry such as shipping. Looking at the landscape of challenges facing the operators of vessels, what do you see as the most challenging issue to address and meet in the coming 5 to 10 years? Shipowners face a wide range of challenges every day. But as a class society, our focus is solely on promoting the safety of life, property and the natural environment. We can sympathize with owners’ commercial struggles, but we cannot let these wider issues sidetrack us from our specific role and responsibilities. Within those parameters, I think there is a lot we as the class society can do to assist our clients to operate more efficiently without compromising safety, principally by providing them with the tools they need to better track the condition of their vessels’ structure, machinery and equipment. But providing tools like the ABS Hull Inspection and Maintenance Program software is only half the equation. There needs to be a new, much more open approach to the owner-class society relationship with respect to the sharing of the information that is collected. The real efficiencies for the owner come from the ability of the class society to undertake much more focused, less intrusive surveys and inspections that stem from a more complete understanding of the condition and risk profiles of the items subject to survey. We already are seeing some movement on the part of a small number of top flight owners that are beginning to recognize the benefits that can flow from a more open, two-way partnership with their class society of record. I am hopeful that this realization will become more widespread with the passage of time and the gaining of experience. During the course of your career, what one technology do you think has most profoundly impacted the maritime business and why? Without a doubt it is the ability to evaluate ship designs with a complete understanding of the dynamic loads to which they are subjected in a seaway. It was ABS that pioneered the development and application of the dynamic loading approach in the late 1960s that is now the basis of the common structural rules for tankers and bulk carriers and an essential tool used by every ship designer. Previously, classification rules were purely prescriptive. They were based on the empirical knowledge gained from existing designs and extrapolated to larger, more technically sophisticated ships. It was advances in computing power that made the application of engineering first principles to the evaluation of designs feasible. With time, we have been able to develop a scientific understanding of the principal failure modes of buckling, yielding and fatigue. And we have been able to expand that knowledge to better understand other issues such as parametric rolling and the application of computational fluid dynamics to propulsion. These advances allowed us to more completely understand the causes of the structural failure of bulk carriers back in the 1990s and to introduce new requirements that have saved hundreds of lives. The latest generation of 18,000 teu containerships, currently under construction, would not have been possible without these technical advances. The constantly improving loss statistics and safety record of the world’s fleet is, at least in part, attributable to our more complete understanding of the structure of ships over their entire service life based on the dynamic load principles. From a legislative perspective, what one piece of regulation has had the biggest positive impact on the marine industry and why? What ONE piece of regulation has had the biggest negative impact and why? It is impossible to single out any one regulatory initiative as my career has spanned such a broad spectrum from the introduction of MARPOL following the Torrey Canyon casualty to the recently adopted Maritime Labor Code, which will greatly improve the lot of the seafarers. We have seen the introduction of double hull tankers, the adoption of the ISM Code, and the current emphasis on a broader range of environmental issues such as ballast water management and control of harmful emissions. All of these advances must be considered holistically. They have been reflective of the industry’s knowledge and technical capabilities at the time of their introduction. When necessary, initiatives have been amended or expanded to reflect changes in our knowledge and experience. Ultimately, their effectiveness must be measured by their results. The amount of maritime sourced pollution is a fraction of what it once was. The loss records for every ship type have been improving year on year. And the maritime industry today carries more cargo more safely and with less negative impact on the environment than at any other time in its history. This is a cumulative result arising from the combined efforts of all those who share responsibility within the overall maritime safety regime – flag States, port States, the IMO, class, ship designers and builders, and most importantly of all, shipowners that have responded positively to the evolving expectations of our modern society as embodied by the flow of new regulations. If you had the power to unilaterally enact one change in the marine industry today, what would that change be and why? Not surprisingly, my focus is on class rather than the broader maritime industry. In my view, the single most important change that is needed to provide certainty for class in the future is the international adoption of a convention that extends the same protection of limited liability to class that currently is enjoyed by every other sector of the industry. The current situation is untenable and grossly unfair. It means that class is constantly exposed to the risk of ruinous law suits stemming from simple negligence in providing a service for which the fee is miniscule compared to the claims made against it. One has only to look at the Prestige case to see what I am talking about. An incident with this vessel resulted in a 9 ½ year legal battle, which the courts at long last have ruled in our favor. I could never explain the pressure and expense that a US $2 billion dollar lawsuit puts on our organization and on me personally. The issue is further complicated when class is acting as a Recognized Organization on behalf of flag States. The vast majority of flag States extend sovereign immunity to the class society when it is acting as the administration’s agent. But a small and growing number do not. Once again, this exposes class to potentially unlimited liability when conducting a simple regulatory inspection or ISM-related audit on a vessel in one of these registers. Fortunately, to date, most court rulings have been favorable to class but there is only limited precedence that have been established in any one jurisdiction let alone international agreement on this subject. If class is to continue to act as the independent arbiter of maritime safety standards, it must be granted the same security of protection from unwarranted and unfair unlimited liability that is afforded its partners within the safety regime. Looking back at your time with ABS, what do you count as your greatest success, or mission accomplished that you find most gratifying? What has been your biggest disappointment and why? I have always viewed my role within class as a custodian. When I was a field surveyor, I was a custodian of safety. As Chairman of ABS I have been the custodian of a venerable organization that exists because it serves the public interest. In my period as Chairman of IACS, I viewed my role as the custodian of the classification sector with the responsibility to protect and enhance the role and reputation of all of the member societies. In each instance I have attempted to fulfill those responsibilities to the best of my abilities. Any disappointment has been short-lived as, with patience and experience, every problem can be solved and any setback can be overcome. As my time at ABS nears its end, I can take comfort from the fact that the organization is internationally respected, a technical leader, financially sound and recognized as one of the premier classification societies serving the marine and offshore industries. But I take the greatest sense of accomplishment from the knowledge that its future has been entrusted to a new generation of extraordinarily talented, committed individuals at every level, from the executive management team to the engineering and survey staff to those who deliver the essential administrative services that provide the foundation for all our activities. I cannot pretend to know what the future holds other than that change will be a constant. ABS has a proud history stretching over 150 years. That is a testimony to our ability to adapt to change, to weather adversity, and to provide a service that industry values and relies on. It is my hope that the next 150 years will be equally illustrious, and I am confident that, as an organization, ABS is ready and willing to define maritime classification in the future. On Thursday, October 11, 2012, the Coast Guard Foundation will hold its 32nd Annual Salute to the United States Coast Guard in New York City. Hosted by the TODAY show’s Al Roker, the event will pay tribute to the brave heroes who risk their lives to save others. The Coast Guard Foundation will honor the American Bureau of Shipping and its chairman, Robert D. Somerville, for unwavering support of its mission for more than 25 years, including most recently its support for the sailing program at the Coast Guard Academy, scholarship programs for enlisted members, and special projects that benefit Coast Guard members and their families across the country. The Weather Channel will also be recognized for the impact it has had highlighting the important and dangerous mission of the Coast Guard, which it features in two TV docu-series, Coast Guard Alaska and Coast Guard Florida, produced by Al Roker Entertainment. The Coast Guard Foundation is a non-profit organization committed to the education, welfare and morale of all United States Coast Guard members and their families. For over 40 years, the organization has inspired leadership, learning and a proud legacy of service to our nation by supporting the men of women who The event will raise funds to support the Coast Guard Foundation’s important projects and programs that seek to improve the lives and performance of Coast Guard members, their families and Coast Guard Academy cadets.